Founded in 2014, Wolf Patrol has been breaking new ground in the wolf advocacy movement with in-the-field citizen monitoring and reporting on state sanctioned and illegal wolf hunts in Wisconsin, Minnesota and Montana. We have also been traveling the country training community members in Wolf Patrol methods and encouraging the establishment of citizen monitoring programs wherever wolves are facing threats. Wolf Patrol is hosting the ‘Still Howling’ online art exhibit – launched on March 9 the anniversary of the federal listing of gray wolves as an endangered species in 1978 – to celebrate the return of Gray Wolves from the brink of extinction in the United States. Artworks have been donated by generous and talented wolf advocates, with funds raised contributed to Wolf Patrol’s on-going work. Celebrate the return of this incredibly important and dynamic predator to their natural ecosystems with us! Enjoy and be moved by a stunning series of artworks inspired by admiration and respect for Gray Wolves. View the entire exhibit online at www.wolfpatrol.org between March 9-31st. Artists include: Scott A Block, Chris Cooper, Tasha D, Ned Gannon, Leah Girardo, Jordan Henry, Beverly Keys, Ali Cat Leeds, James Morren, Tracey Nicita, Marisa Pushee, Jessica Speyer, Emily Swedberg, Chris Tonner, Michelle Waters, Buddy Whisler and Fulvia Zambon. 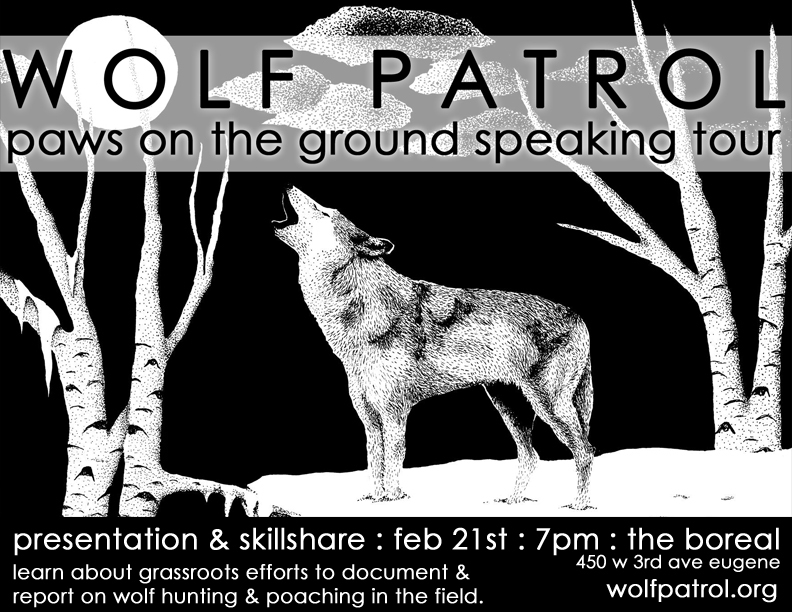 Activists with Wolf Patrol will be visiting a few cities next month to conduct presentation & skillshare events. Please keep an eye on our website for details as events are confirmed. 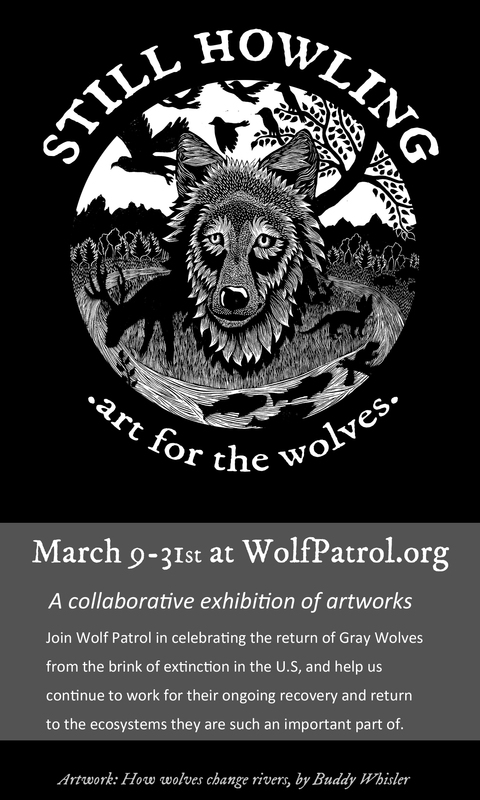 Between March 9-31st, here on WolfPatrol.org, we will be running a collaborative art exhibit fundraiser to celebrate the ongoing recovery of Gray Wolves. On March 9, 1978 Gray Wolves were nationally listed as an endangered species. Today we can see a remarkable recovery, with growing wolf populations in areas they haven’t been common in over 70 years, and a greater understanding of the important role wolves play in the health of many ecosystems. But we need to continue to foster the recovery of these crucial predators. 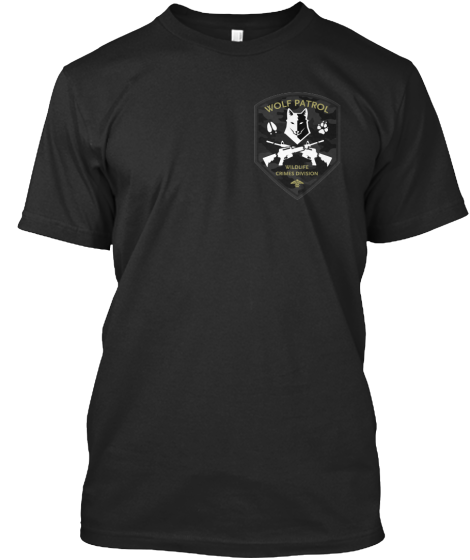 Help Wolf Patrol continue our work by supporting this exhibit. Please share our promotional image far and wide, and join our facebook event page. We are still taking expressions of interest for contributing artworks. Please get in touch at teamwolfpatrol@gmail.com if interested. Wisconsin supporters! Great Lakes Wolf Patrol will be giving a presentation TONIGHT (Oct 21st) at 7.30pm, Ashland at the Northland College Ponzio Student Ctr. in regards to stopping the wolf hunt (Oct. 15th-Feb.28th, 2014). The event is given by the “Great Lakes Wolf Protectors,” featuring local indigenous perspective on the hunt and Ojibwe wolf lore, as well as featured presentation from Wolf Patrol activist Rod Coronado. Donations toward the campaign for camping and documenting supplies, in conjunction with covering gas costs are greatly appreciated, but the event is free!